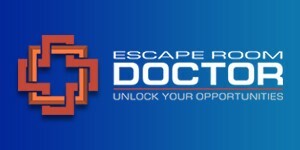 If you’re a live escape game enthusiast (and what escape room operator isn’t? ), you’re probably familiar with the escape room waiver. Escape room waivers are those contracts you sign prior to playing an escape game. They essentially say you’re aware that there’s a risk of injury, and you’re okay with it. If you don’t read them very carefully, don’t feel bad. Most people don’t. Generally you’re eager to get started, and the waiver is the last bit of “real-world” business you have to get out of the way before you can step into another world and be immersed in a challenging adventure. 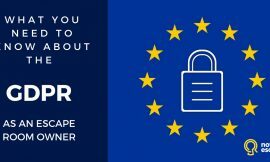 As an escape room owner, though, the waiver is important because it – along with a good business liability insurance policy (also referred to as a general liability policy) – is designed to protect you from serious financial losses if one of your customers is accidentally injured while playing. So, while you’d probably prefer to be spending your time designing dastardly puzzles to confound your customers, you need to take a little time out to craft a solid liability waiver. 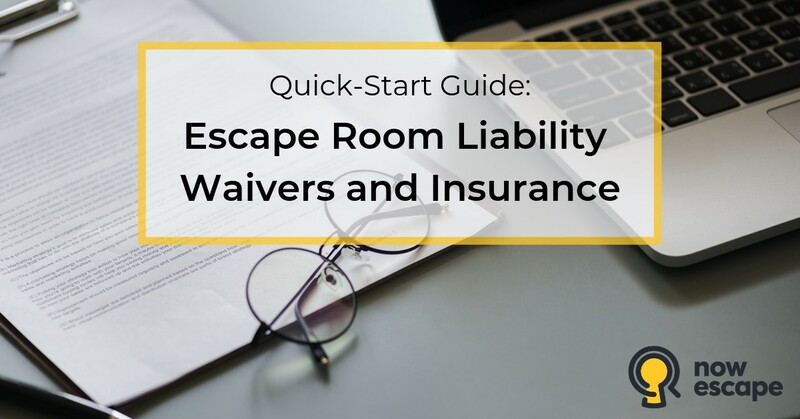 Read on for a basic primer on liability insurance and escape room waivers, plus a basic liability waiver template, to help you get started. Even now that you’ve opened – or are in the process of opening – your escape room, you’re probably much more interested in presenting mysteries for your escape game customers to solve than you are in unraveling the mysteries of liability waivers and insurance. In fact, if you’ve been procrastinating when it comes to writing your escape game waiver and investigating insurance options, you are not alone. Face it. Unless you were a lawyer in your previous professional life, the legal challenges involved in starting your own escape room business just aren’t that interesting. You may even be tempted to think that the effort and expense you’ve put into making sure your facility is safe are enough to protect you from any potential risk. After all, depending on where you live, you probably can’t open your business without complying with fire codes and other safety regulations. Isn’t that what all those laws are for? To make sure your business is safe for customers and employees? The answer to that question is technically, “yes.” But there are two factors you still need to take into consideration. Complying with safety regulations does not guarantee that your escape room business is 100% safe. No regulation can cover every possible contingency. Complying with safety regulations does not protect you from legal liability if something does go wrong. Thus, liability waivers and insurance. Tort law deals with liability in cases where an action – or a failure to act – results in injury to another person. First off, we’re not attorneys. We don’t give legal advice, and even if we wanted to, we couldn’t. Second, you aren’t reading this article because you want to become an attorney. So, let’s keep things as simple as possible, shall we? 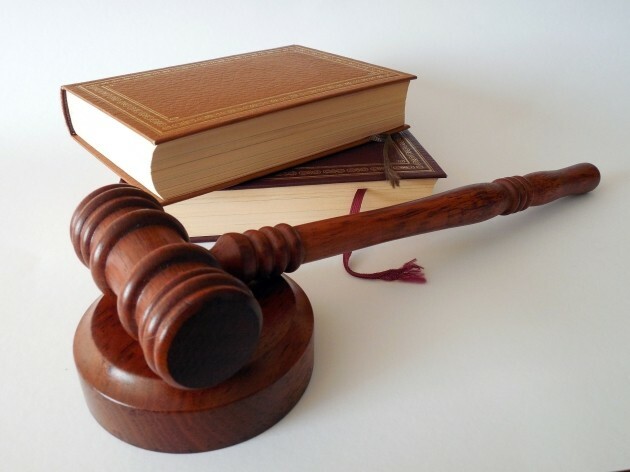 Tort law deals with liability in cases where an action – or a failure to act – results in injury to another person (or to that person’s property). The important thing to remember is that anyone can be found liable for injury under tort law, even those who never meant to do harm. For example, say, you don’t get around to shoveling the snow in front of your house. And when the postman arrives to deliver your mail, he slips, falls, and breaks his arm. Technically, you could be found liable for his injuries as a result of your negligence and end up owing him a settlement to cover his hospital bills and other expenses. As the owner of a business that serves others, you open yourself up to the possibility that something unexpected could happen, and someone could get hurt. If that happens, you could be found responsible in a court of law, even if you did everything in your power to protect your customers from harm. If everyone were scared off by the fear of legal liability, nobody would ever open a business at all. While the last section may sound super scary and make you question ever wanting to go into a customer-service business (or receive mail in the winter), it shouldn’t deter you from pursuing your dreams. Before going any farther, we’ll remind you that we’re not licensed insurance professionals. We don’t provide insurance advice, and even if we wanted to, we couldn’t. Insurance, in the most basic of terms, is a contract between an insurance carrier and a company (or an individual) that states that the insured (that’s you) will pay a premium, and in return, the insurer will pay out a designated financial amount in the event that you experience certain damages. What makes insurance work is the concept that if enough people pay premiums, the insurance company will have an adequate pool of money at hand to cover claims if any of those people suffers a loss. The assumption is that not every person who pays premiums is likely to suffer a loss, so there should always be enough in the pool to cover any losses that do occur. 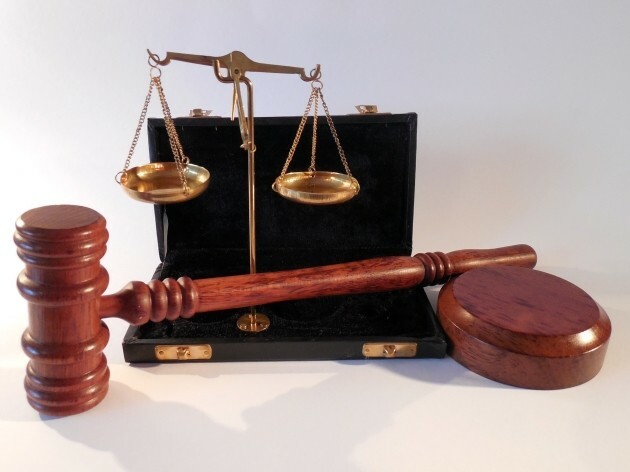 When you purchase business liability insurance, you pay into a pool funded by multiple businesses, with the expectation that you’ll be financially protected (either in part or in whole) if you’re found responsible in a court of law for an injury sustained on your premises. Because of the nature of escape rooms, you may face a little more liability risk than, say, the owner a pillow store. Obviously, you care about your players (not to mention your reputation as a business owner! ), so you do everything you can to make sure your sets and props are as safe as possible. But depending on the complexity of your scenarios, you may require players to climb on furniture, crawl through tunnels, put their hands inside unusual containers, or engage in other physically demanding activities. If nothing else, there’s a good chance your players are going to move around in a hurry, and when people are in a hurry, they can get careless. All of which points to the need to protect yourself from liability if something goes wrong. As escape rooms have increased in popularity, insurance providers have taken notice and begun to write policies specifically for the industry. Think of the escape room liability waiver like the airbag in your car. Because your insurance company needs to make sure there’s enough money in that pool we mentioned to cover any claims that arise, it sets your insurance premiums based on the amount of risk it believes it is taking by insuring you. And we just got done talking about how escape rooms are a little riskier in the liability department than a lot of other businesses (and, to be fair, less risky than others; it’s not like you’re in the mining industry). So, obviously, it’s in everyone’s best interests (yours, your fellow escape game operators’, the insurance company’s) if claims are few and far between. If one of your customers is injured while in one of your rooms, and you avoid being sued, you and your insurance company can breathe a big sigh of relief. Your liability waiver won’t necessarily protect you from being sued, but, depending on the circumstances, it just might protect you from being found guilty. 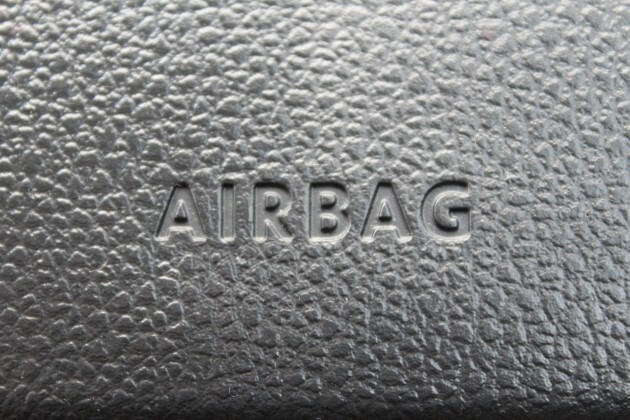 Think of the liability waiver like the airbag in your car. You can wear your seatbelt and drive carefully, but say a bee flies in your car window. If you crash into a tree while trying to avoid being stung, your airbag helps make sure your head doesn’t collide with your steering wheel. The airbag doesn’t prevent the accident. But it may protect you from serious harm. They understand that playing an escape game may involve physical activity that could potentially result in injury. They understand that, while you have made every effort to ensure their safety, you are unable to predict what they will do, and thus cannot prepare for every contingency. They are ultimately responsible for their own safety and will take measures to avoid participating in actions that they deem unsafe. Because they are aware of the risk of injury and have chosen to participate in the activity anyway, they agree that you are not to blame if they are injured. Thus, they will not sue you if such injury should occur. If you end up in court, it demonstrates that the player was aware of the risk and voluntarily engaged in the “dangerous” activity anyway. When customers sign a waiver, whether they read it thoroughly or not, they mentally prepare themselves to accept responsibility for their own safety. Because they know they’re expected to. Your waiver needs to be as thorough as possible without being too specific. Did we mention that we’re not lawyers? This information may be used solely to help you get started with your liability waiver. Sign up here to download a basic liability waiver template that you can customize to fit your needs. Your waiver needs to be as thorough as possible without being so specific that you provide injured patrons and courts an exception that proves the rule. You don’t know if your players have brittle bones or allergies or anger issues, any of which could result in unanticipated injuries while they’re playing your escape games. If you try to cover every contingency, you open yourself up to missing the one factor that’s relevant when that lawsuit lands on your desk. On the other hand, you don’t want to be so vague that you’re not protected at all! 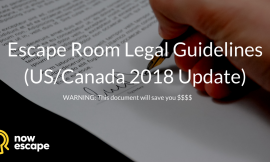 Make sure that the legal professional you engage to help you is familiar with escape rooms and understands how to strike the right balance to best protect you. Talk to your lawyer about what clauses an escape room liability waiver in your legal jurisdiction should include. Every legal jurisdiction (city, state, country, etc.) has its own legal requirements. Make sure you get professional advice specific to your area. 1. Your players should acknowledge that they understand they are about to engage in a physical activity that could potentially result in injury. 2. You need a clause that says the player will hold you harmless if injury should occur (in other words, he or she won’t sue you). You may hear of this clause referred to as the “hold harmless” clause. 3. Depending on where you live, you may need a clause that specifies under which city’s, state’s, or country’s laws the waiver should be interpreted; this may be particularly important if you operate escape rooms in multiple locations. 4. Finally, the waiver should clearly state that the person signing it has read its terms and understands what he or she is agreeing to by signing it. Your waiver protects you only so far as a court agrees to honor it. Even with a signed liability waiver in place, there’s still a possibility you’ll be held responsible if one of your customers is injured while playing your escape games. 1. You live in a state, country, or region where liability waivers are unenforceable. Before you spend a lot of time writing your waiver, confirm that courts in your area honor them. 2. Your waiver is incomplete. This is why we stress how important it is to consult an attorney. It’s up to you to make sure your waiver provides the best protection possible. Because laws vary from place to place, the only way to be sure you haven’t left something out is to consult an expert in your jurisdiction. 3. Your waiver contains ambiguous phrasing. Again, this is what your attorney is for. Your waiver may be complete, but the way you’ve worded a certain clause could be your downfall in court. 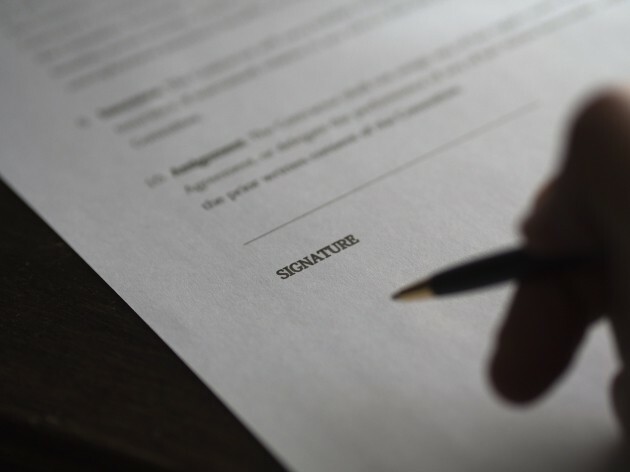 If an opposing lawyer can show that your waiver could be interpreted in a way that leaves you unprotected, you can believe he or she will do so. 4. Your waiver asks your customers to release you from liability from too broad a spectrum of incidents. Your waiver should remain specific to activities your players are likely to participate in while playing one of your games. For example, don’t expect your waiver to protect you from liability if you forget to salt an ice patch in the parking lot, and a player slips and falls on the way to her car. 4. The injury is particularly severe. Even if you’ve done everything you can to protect your patrons from harm, courts tend to have sympathy for individuals who experience serious injuries, no matter how they were sustained. This is where your liability insurance comes in handy! Once your liability waiver has been written and approved by your attorney, it’s time to put it to use. You have a couple of options when it comes to collecting signatures from your escape room customers. Paper contracts never go out of style. This is a simple and straightforward method that works regardless of your technical skills. Just print a bunch of copies of your waiver and ask customers to sign when they walk in. One disadvantage to this solution is that you have to keep all the signed copies someplace safe; if you’re in business for a long time (and obviously, you hope you will be! ), that could result in a lot of file boxes full of paper! 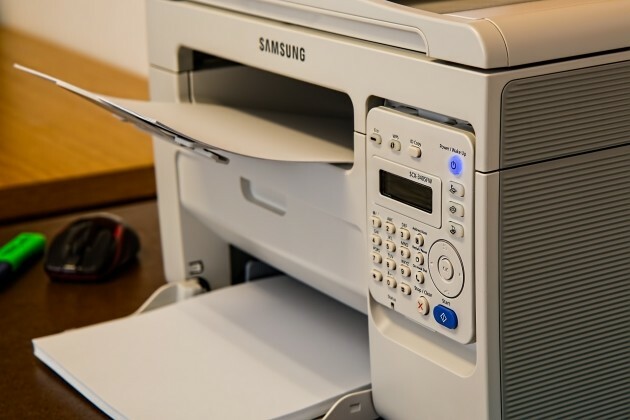 Your customers can print a PDF version of the waiver, sign it, and bring it in with them. If you want to give your players a chance to sign their waivers before they arrive, you can email them a PDF of your waiver after they book their game. 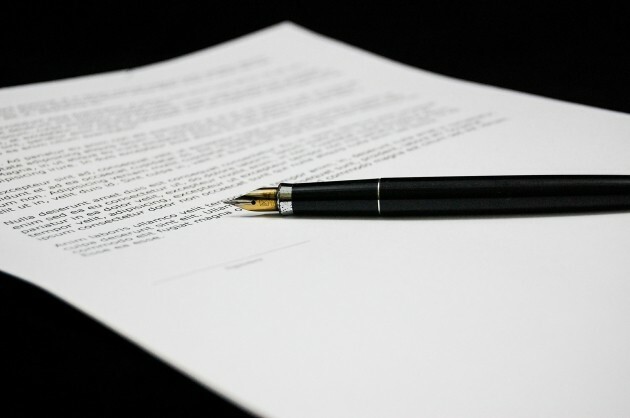 Your customers can then print the waiver themselves, sign it, and bring it in with them. This method is easy and cost-effective. However, it does have a few drawbacks. One is that your customers may forget to bring the waiver with them. Then you have to print a copy and have them sign it when they arrive anyway. And, as with the first solution, you still have a lot of paper contracts to file and keep track of. Using digital waivers saves you a ton of time and effort, not to mention storage space! Finally, you have the high-tech option. 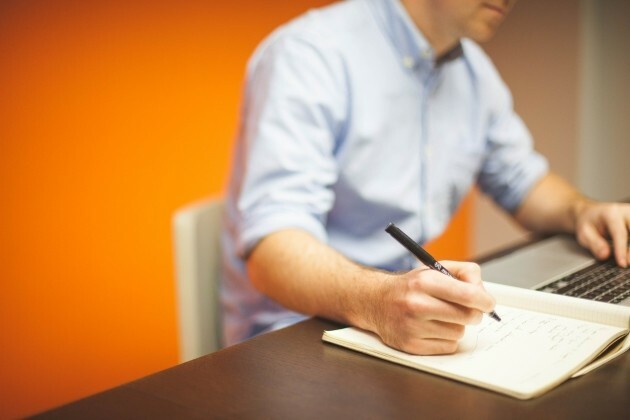 Providing a digital version of your waiver and collecting digital signatures requires a little more technical expertise, but it saves you a ton of time and effort, not to mention storage space! 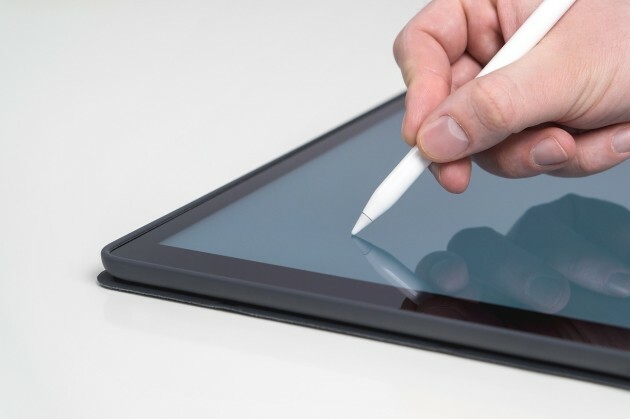 Depending on the software you decide to use, you can either collect digital signatures ahead of time (generally by emailing your players a link to an online waiver), or you can have players sign on a tablet or other touchscreen device when they arrive. Fortunately, you don’t have to figure out how to collect signed liability waivers on your own. There’s software out there that provides this function! Here are a few platforms you might want to investigate if you’re interested in using digital waivers. Buzzshot. 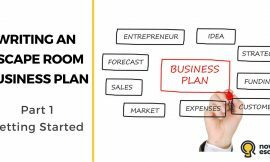 Buzzshot offers several software packages for escape room owners, including a marketing automation system and an electronic waiver app. EscapeAssist. EscapeAssist is an all-in-one escape room management platform that includes a digital, automatic waiver system. Escape Room Master. Escape Room Master is a suite of software products that can be purchased together or a la carte. One of the products they offer is a digital waiver management system. SwiftWaiver. SwiftWaiver offers a platform that both collects digital waiver signatures before the game and automates follow-up to encourage players to leave reviews and continue engaging with your business. Waiver Electronic. 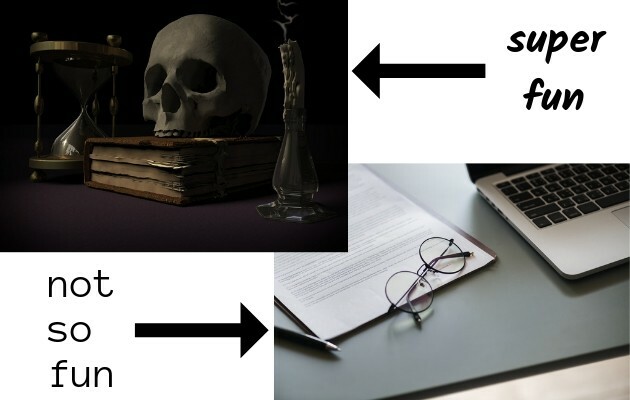 Waiver Electronic is not specifically designed for escape rooms, but it provides the same digital waiver functionality as software that is, and it provides a escape room waiver template to help you get started. There are also a number of companies that supply general online waiver – not just escape room waiver – services that may suit your needs. 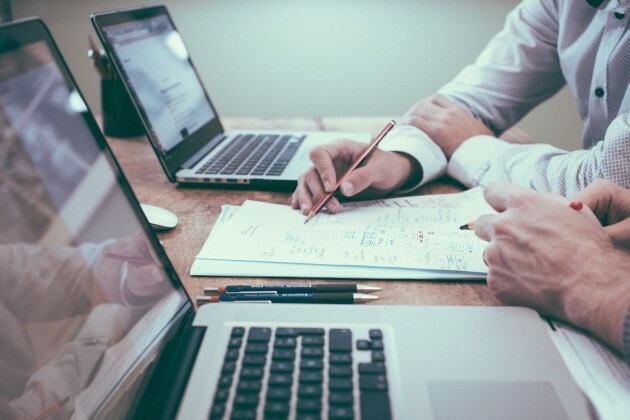 Obviously, there are a lot of legal details you’ll want to discuss with your insurance agent and lawyer before you open your doors, but this should give you the overview you need to enter into those conversations with confidence. Ultimately, the best protection you can possibly have from tort law, liability, and lawsuits is to operate a clean, safe facility. Abide by building and fire codes, but also remember that such regulations don’t necessarily guarantee safety. Don’t cut corners in construction of sets and props. Make sure you test emergency exit mechanisms regularly. Remember that your players trust you to provide a safe and fun environment. You have an obligation to make sure you deserve their trust. And finally, make sure you have that liability insurance and liability waiver on hand just in case something unexpected happens. You can’t afford to be found responsible if it does. 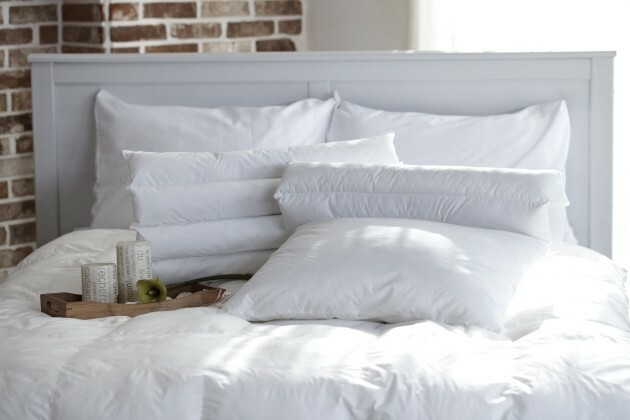 that you can customize to fit your needs.